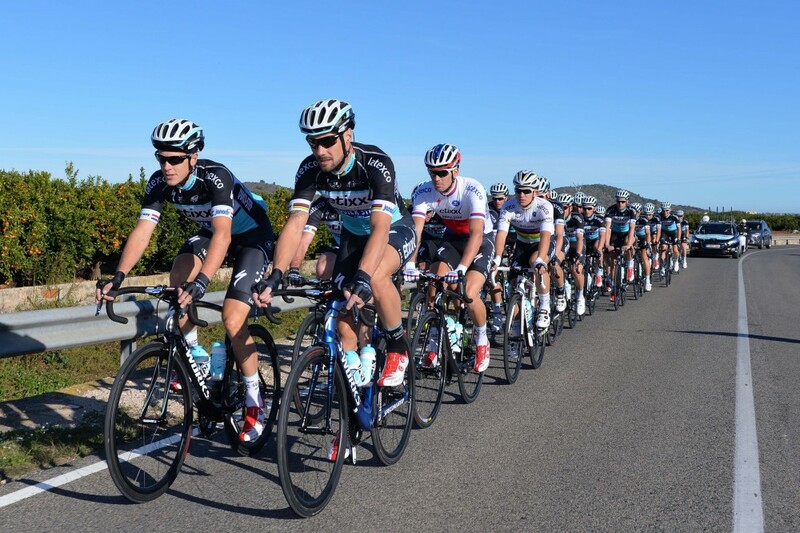 A lack of WorldTour team partnerships for SRAM in 2015? As teams prepare for the start of the new season in January with training camps and fitness tests, it’s also the time for testing new equipment, often with a sense of secrecy as teams wait until the new year to announce new partnership deals. Components manufacturer SRAM, who had three deals with WorldTour teams in 2014, seem to be losing most of their deals with teams in the pro peloton for 2015 though, with both Tinkoff-Saxo and Omega Pharma – Quick Step (soon to be Etixx-Quick Step) both pictured using Shimano components on their bikes at winter training camps. Because of the existing deals, neither Tinkoff-Saxo or SRAM, when contacted by Cycling Weekly, were able to reveal anything about the switchover before the new year, but judging by the pictures featured here, both teams will likely be officially using Shimano Dura Ace Di2 come 2015. Away from the WorldTour, CW also understands that at least one of SRAM’s Pro Continental level teams, MTN-Qhubeka, will also be cutting ties with the American firm to use Shimano’s electronic groupset. MTN will also be changing bikes for next season, with Cervélo stepping in for Trek as official supplier to the team. As with Quick Step, who use Specialized bikes, MTN will be changing its wheel provider away from Zipp, as the wheel manufacturer was acquired by SRAM back in 2007. Quick Step will potentially use Roval wheels next year (though your guess from the pictures is as good as ours), while MTN will certainly use Enve wheels. It seems unlikely though, that any of the teams will use Shimano components throughout, as the pictures show both Tinkoff and Quick Step using some FSA components (like the brakes and chainset). 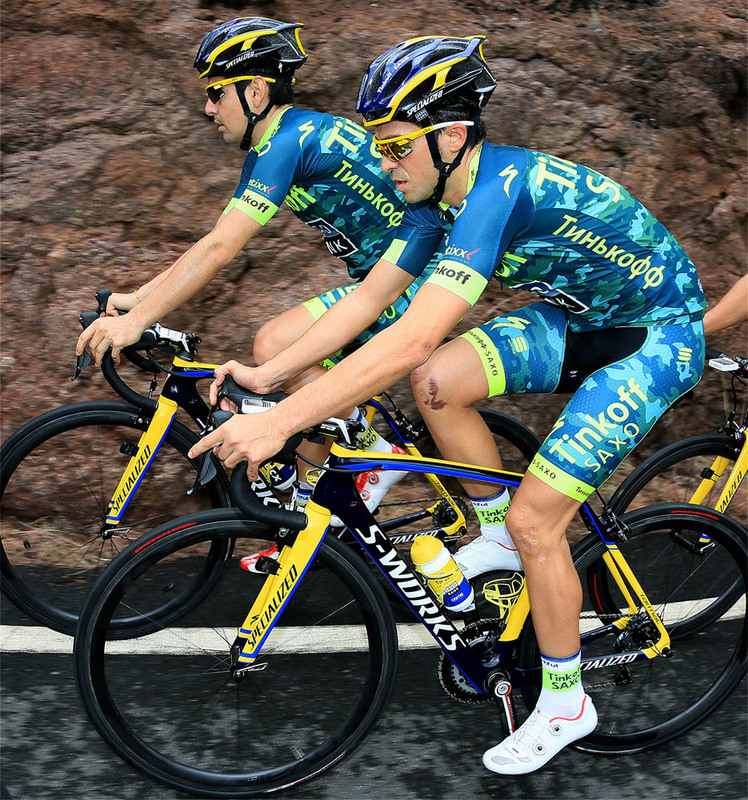 The only other team to feature SRAM on its bikes in 2014 was Cannondale, but since merging with Garmin to become Cannondale-Garmin, the team has yet to reveal anything about its kit or bikes. Judging from the trend however, it looks as though the team may not be running SRAM components for next season. UPDATE: Thanks to everyone who commented here and on Facebook and Twitter. You were indeed right that SRAM potentially have one deal for the 2015 season with Ag2r La Mondiale, as shown in this post on their Instagram page, as well as others on their Facebook page from their winter training camp in Spain.